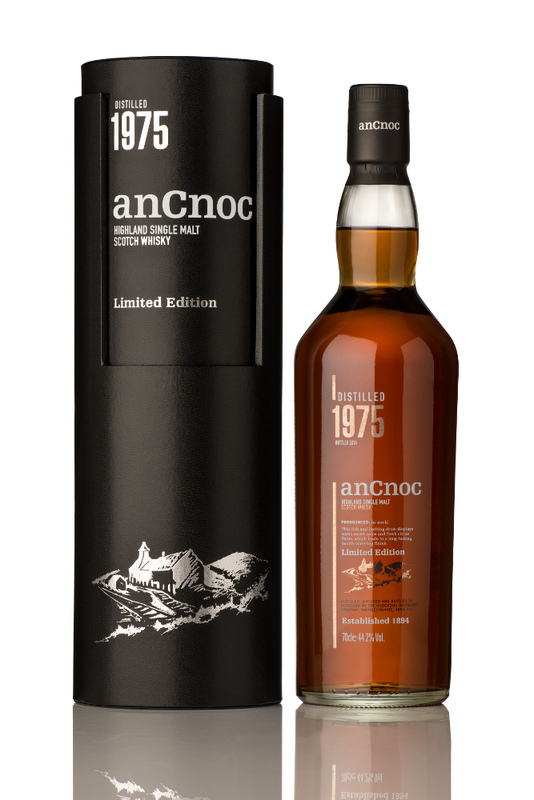 On February 1st 2015 anCnoc Highland Single Malt Scotch Whisky will unveil its latest creation – anCnoc 1975 Vintage. Bottled late in 2014 this is the oldest expression ever released from Knockdhu Distillery and promises to be the ultimate treat for anCnoc fans and the most discerning whisky drinkers around the world. In-keeping with anCnoc’s ethos of ‘Modern Tradition’, the 1975 Vintage is presented in a simple, striking bottle and encased in an elegant black tube. anCnoc Assistant Brand Manager Stephanie Bridge sheds light on where the new Vintage fits within anCnoc’s recent string of acclaimed releases. Nose: Rich and inviting. Waves of spicy dried fruit and creamy vanilla sweetness are accentuated by candied orange peel, green apple freshness and just a hint of cut flowers. This is a rare example of a very mature dram displaying in equal measures its robustness, liveliness and the unique Distillery character. Taste: Full-bodied, intense and complex. Fruit cake, sticky toffee and seasoned leather are followed by signature notes of honey and lemons, leading eventually to a long, mouth-watering finish full of vibrant spice and earthy raisin sweetness.